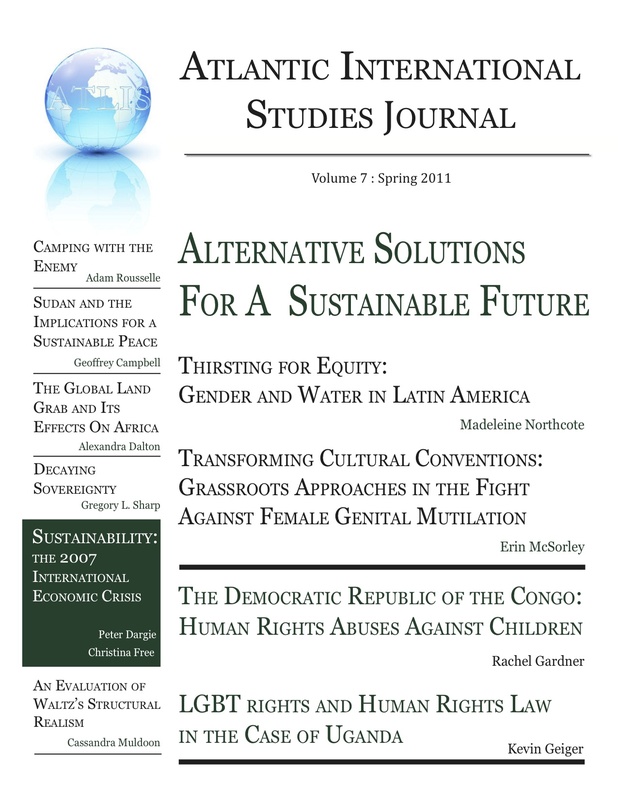 The Spring 2011 Journal, Alternative Solutions For A Sustainable Future, is now available online. Read the entire journal along with links to each individual author’s essay here. The Journal is a nationally archived, undergraduate only academic journal published yearly with the financial support of the Centre for International Studies. The Journal is a yearly collaborative effort of ATLIS staff, our faculty advisor, and volunteers. This year, a special thanks goes out to Journal Editor Rebecca Ann Dixon, Daphne Rodzinyak, International Relations Department Head Dr. Dave Thomas, 2010-2011 ATLIS Staff (Maggie Lee, Ciera De Silva, Marlee Leslie, and Alexandra Dalton), of course the hard work of all our peer reviewers who helped ensure the journal is of high academic rigor. Be sure to leave any comments you have about the articles on the individual pages, and be sure to check back often for videos of the 2011 conference and information about our 2012 conference: Revolution: Reforming Structures and Rethinking Perspectives, January 13-15.